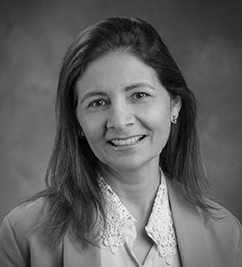 Jacqueline Da Cunha (Lopes) is a Ph.D. Dissetator in the Department of Curriculum and Instruction, from where she also has a Master’s Degree, specializing in language education, and bilingual and multicultural education. She is doing research under the supervision and advisement of Dr. Mariana Castro as a Project Assistant with Department of academic language and literacy initiativesat WIDA at the WCER. She is part of a research that advocates for the importance of specialized preparation programs for teachers of ELs that focus on the language use and development of multilingual students, including issues of policy, instruction, and assessment. Her own research interest is focused on understanding what role reflection plays when teachers of multilingual students participate in professional learning to create strategies to improve their teaching practice to increase their ability to support ELs’ language acquisition and academic literacy. Jacqueline is an experienced teacher and instructor. During her Master's and Ph.D. coursework, she was an instructor and TA of Spanish and Portuguese and Head TA of Portuguese. In addition, she was a bilingual/ESL teacher at the elementary and middle school levels. She also has over 12 years of experience teaching as a teacher of English as a foreign language and over 10 years of experience as an instructor of Portuguese as a second and foreign language.